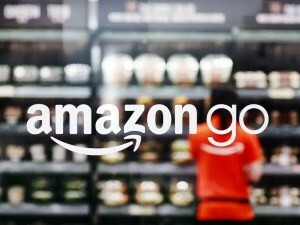 Amazon have been able to create a store in which there is no checkout but simply a pickup-and-go system. At the moment they are trying out their new system on their employees but they hope by 2017 they will have stores open to the public. How Does The New Technology Work? Using computer visioning, artificial intelligence, facial recognition and a range of other data applications and by screening which products have left the store and which ones haven’t, they are able to identify what needs to be charged to your account. You then receive a receipt to your Amazon account and can be enjoying that fruit smoothie even before you have left the store. This might sound like something from Back to the Future or Star Trek but in actual fact this kind of technology is readily available. Company’s like AIS Ltd have Machine Vision Systems to help you improve the efficiency of your business. What Are Machine Vision Systems? Machine Vision Systems and technology is imaging-based and can work on many applications. From bottle filling controls and product inspections, to identification and precision measuring, these systems can do it all. Imagine your store has a number of products on the shelves and you want to find out how many have been sold, you can use the technology to work out which products are missing and work it out that way. This means less hours spent counting stock only to find you miss counted the loaves of bread and have to start all over again. With technology constantly improving and inventions always making our lives a little bit easier, it is hard to imagine all the possibilities. Amazon claim to be able to track exactly what you are buying from their store without you even having to checkout, stand in line and show the cashier what you are buying. This could mean we get the products we want quickly and not have to waste time queuing when we could be outside eating all the food we have just put in our baskets. Technology is ever advancing and although billion dollar companies are sometimes a step ahead of the game, it doesn’t mean other businesses can’t get involved. Finding the products perfect for a number of industries including pharmaceutical, medical devices, and food and beverages is easy. Systems like the Machine Vision, Barcode Scanners and Automatic Labelling machines make cataloguing products, prices and variance simple. You might find that your business works well but you struggle to keep track of all your products, take precision measurements and control exactly what is being created, spent and sold. It’s time to think about the future of your business and just what technology can do for you! Why Haven’t Digital Business Cards Taken Off?